We offer a full line of options for those seeking to buy prefabricated guard houses for industrial or commercial use. They can be requisitioned for a wide range of applications including but not limited to; ticket booths, kiosks, scale houses, check stations, parking attendant shelters, security offices, apartment access points, guard booths, observation towers and oversight at airports. Our portable guardhouse structures have been utilized by many companies including construction sites, security guard companies, military bases, state and city municipalities, prisons, manufacturing plants, and smaller commercial locations. Our smallest guard shack for adequate protection and shelter for 1 person. Companies with smaller budgets or minimal space like this option. Comfortable and practical, this booth easily accommodates an employee and monitoring equipment. A customer favorite it looks great too! Great for narrow entry and two-way gate access, customizable options include sliding glass doors for easy entry and optimum visibility! In a remote location, but limited space available? No problem! This size can be designed with a partition wall to accommodate for your installing a bathroom. Visibility is a key factor for security. This guard booth provides adequate space for 1-2 people and equipment, multiple layouts available. Secure and attractive, custom designed to fit your needs. Space for monitoring equipment, radios, printer, coffee and more! Let us assist you in designing both a functional and cost efficient building. We can meet your requirements for multiple personnel and more. Are you at a remote location or just need a practical meeting place? From commercial to industrial use, we have a security booth for you! Security staffs need an air-conditioned and protected enclosed shelter in order to check in vehicles and visitors, while remaining safe from outdoor elements. We provide competitively priced, securely built, customizable guard buildings in a timely manner. Security buildings can be customized with many different options and layouts. We will work with you to design a booth that will best fit your individual needs. Some of our standard options include interior counters which can facilitate monitoring within your company or site. HVAC units, outlets, and interior lighting are also among the standard options included in our structures. 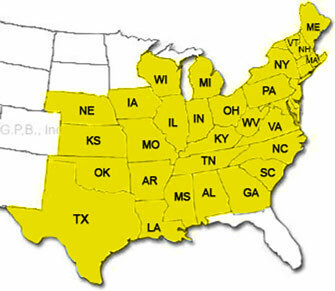 Separated efficient heating and cooling systems are available for northern states. Exterior options such as floodlights, strobe lights, or GFI outlets are also popular. We even offer assistance in designing a structure properly where you can install your own bathroom and toilet so it will be ADA compliant upon completion. Need An Incredible Security Guard House? Most custom units take about 3-4 weeks to build. We do keep many popular layouts and colors in stock ready to ship within a few days. Check for current stock availability. Applications for these buildings: Unauthorized personnel checkpoint, shipping ports, security gate areas, time card booths, elevated platforms or observation towers, corporate entrance gates, parking kiosks – for instance large parking garages or secure parking lots, tall scale houses or monitored gatehouses, secure college campuses, security patrol authorities, military check-in points, valet booth, security guard shelters, toll bridge access, truck weigh stations, apartment complex visitor access, printer stations, and trailer booths. Our rugged buildings provide years of maintenance-free service. They are equipped with aluminum siding and galvanized steel roof, insulated walls, floor, and ceiling, insulated glass windows, and secure insulated metal doors. Our tough structures are built to be long lasting and designed with low upkeep in mind. Our handsome structures come in a variety of colors. There are many siding and trim colors to choose from. These attractive guard houses can be designed to blend well in most any setting. Sample photos of popular color combinations are available. Security personnel can comfortably use these insulated structures with air-conditioning and heating, and stand or sit while maintaining high visibility. Television or closed circuit could be set up by your company to efficiently monitor the perimeter or internal setting of larger corporations or companies of any size. Please review our description page for more information on the available options and construction details. There is not much we haven’t already helped with in the past, but our team of professionals stands ready to work out any new request that arises. Whatever your security application, we are confident that our fully customizable, modular guard house buildings will meet your needs and provide long lasting protection and security. Our three step process keeps your vision in the driver's seat from start to finish! Let us help you succeed. Never overlook the importance of proper design. We have the expertise to create functional layouts. It starts with quality materials and then a construction process with a second to none attention to detail. Great products are pointless without quality shipping from point A to B on time and in good condition. Our handsome guardhouse structures come in a variety of colors. There are many siding and trim colors to choose from. These attractive guard houses can be designed to blend well in most any setting. Sample photos of popular color combinations are available. From small guard huts to large security guard buildings, many different sizes are available. Some of the most common sizes are displayed online; however we do offer alternate dimensions as well. Please review our guard house description page for more information on the available options and construction details. There is not much we haven’t already helped with in the past, but our guardhouse team of professionals stands ready to work out any new request that arises. Maintenance: Our rugged booths provide years of maintenance-free service. They are equipped with aluminum siding and galvanized steel roofing, insulated walls, floor, and ceiling, insulated glass windows, and secure insulated metal doors. Our tough structures are built to be long lasting and designed with low upkeep in mind. Pricing: Instant pricing is available online. Some of our most popular guard house sizes are displayed, along with sample layouts. Complete and detailed guard house pricing are easily requested using this quote form or feel free to call and speak to one of our experienced representatives. With over 30 years of experience in the industry, we assure you that we can work with you to provide the best most cost efficient options available when you are ready to buy prefabricated guard houses. Layouts: Each guard house building layout can be customized. Doors and windows can typically be moved depending on structural requirements. Placement of counters, outlets, panel, HVAC unit, lighting, can all be rearranged. An approved final layout drawing will be completed prior to ordering. We have experience designing all kinds of unique layouts. Unloading: Typically off-loading is performed using forklift with forklift extensions provided by the customer, while there are other options available. Most of our units come standard with a forkliftable base. 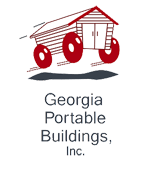 Shipping: The units are primarily available in central and eastern U.S. We ship our portable buildings fully assembled directly to your site from metro Atlanta, GA. It is possible at times for your company to handle the shipping. These details are worked out prior to order and delivery. Locations: Specific states these guardhouses are readily available in include: Alabama, Arkansas, Delaware, Georgia, Illinois, Iowa, Kansas, Kentucky, Louisiana, Maine, Maryland, Massachusetts, Michigan, Mississippi, Missouri, Nebraska, New Hampshire, New York, New Jersey, North Carolina, Ohio, Oklahoma, Pennsylvania, Rhode Island, South Carolina, Tennessee, Texas, Vermont, Virginia, West Virginia, Wisconsin.